Abstract black and white geometric shapes forming patterns and almost dancing on your screen. Add style to your set with this intriguing video loop, add it to your video collections to be well prepared. 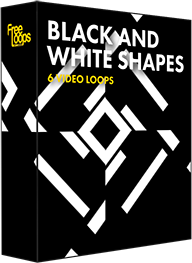 This video loop is part of Black and White Shapes.